Generation Z, we now dub you Generation Wild. Kids today spend less time outdoors than any other generation. In fact, they only spend an average of 4-7 minutes a day outside in unstructured play. While that does mean they’re doing a great job of keeping off our lawns, it’s not so great for their health and happiness. Our friends at Great Outdoors Colorado, an organization that builds parks and trails around the state, were brave enough to take on this tremendous challenge, and they called on us to help. 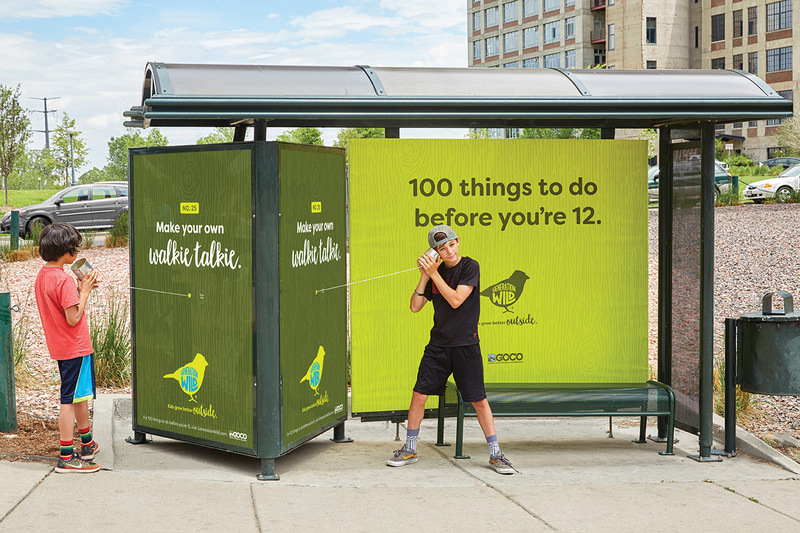 They challenged us to do something that had never been done before: create a campaign that would inspire kids to want to trade their phones and tablets for rocks and stinkbugs. 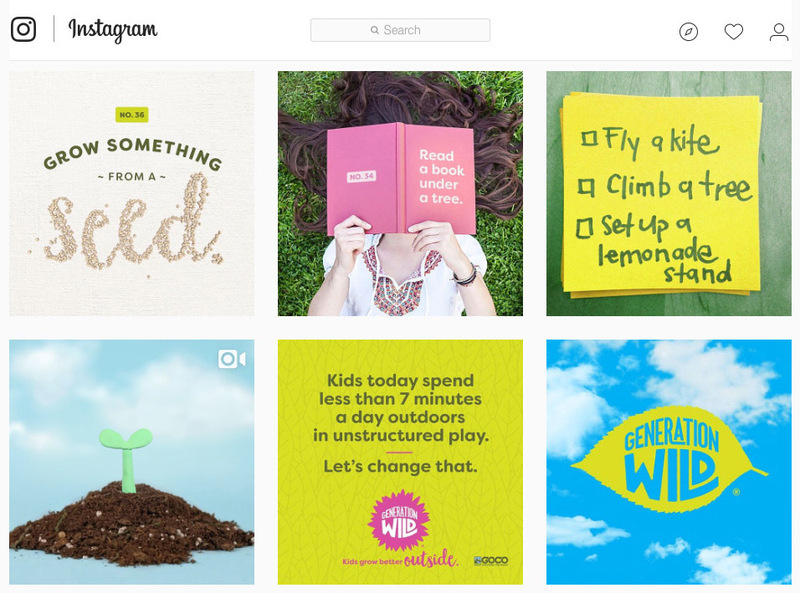 So we devised a plan to change this generation of kids, to turn them from Generation Z, a generation known for being helplessly addicted to their devices, into Generation Wild, a generation known for loving nature and enjoying the outdoors. In order to do this, we had to first get inside the heads of the people who run these kids’ lives: their moms. We conducted ethnographic research with moms from all different ethnicities, backgrounds, and income levels around the state. What we found was that moms connected their own memories and experiences to the outdoors and already understood all the benefits that being outside had for their kids. The issue was finding the time and energy to organize and encourage their kids to play outside. Their lives were already packed full of responsibilities and commitments. Practices. School events. Countless other activities. What they needed was some inspiration and a little bit of help reprioritizing outdoor playtime. Our idea was to make life easy on moms and remind them that getting your kids to enjoy nature doesn’t require a trip to the mountains; it’s right outside your door. 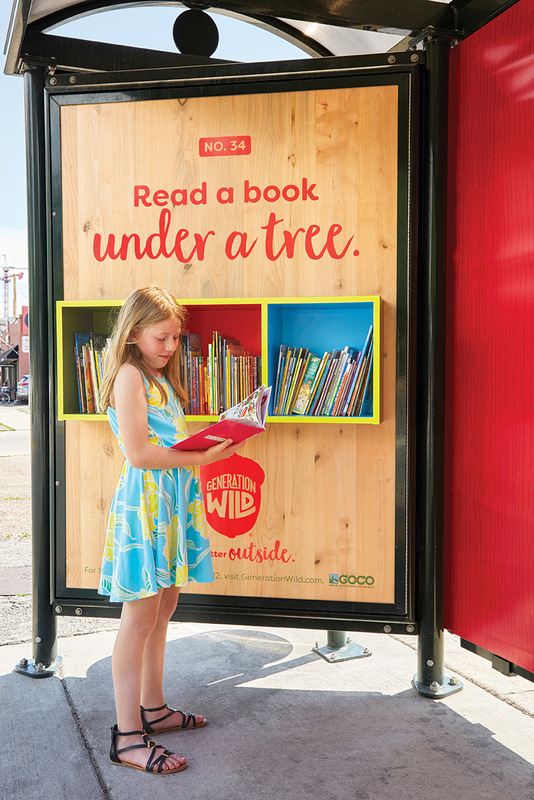 Plus, to get kids interested, we would show off just how fun the outdoors can be. 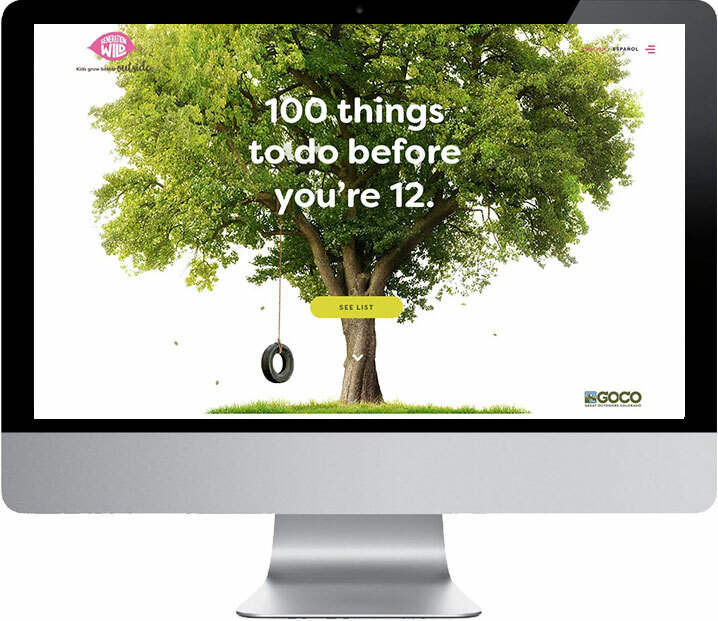 We launched Generation Wild with an enticing bucket list of things to do outside called 100 Things to Do Before You’re 12. Because while there are millions of amazing things to do outside, there are 100 things that you’ve absolutely gotta try when you’re a kid. It was the perfect way to give kids a taste of how fun the outdoors can be and inspire a lifelong love of nature in them. 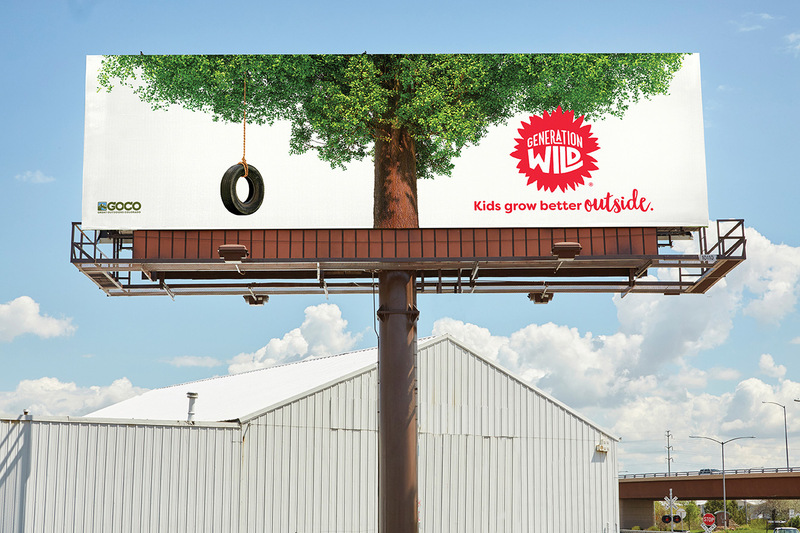 To introduce Generation Wild and 100 Things to Do Before You’re 12, we created an integrated statewide campaign. Since moms spend a lot of time in front of screens, we knew we would need a strong digital campaign to get our message out. We used a highly-targeted, cross-platform approach. We leveraged video, display, and social media on desktop and mobile to hit moms wherever they may be online and coupled that with data analysis and optimization to ensure we were reaching moms who are the most receptive to our messaging. 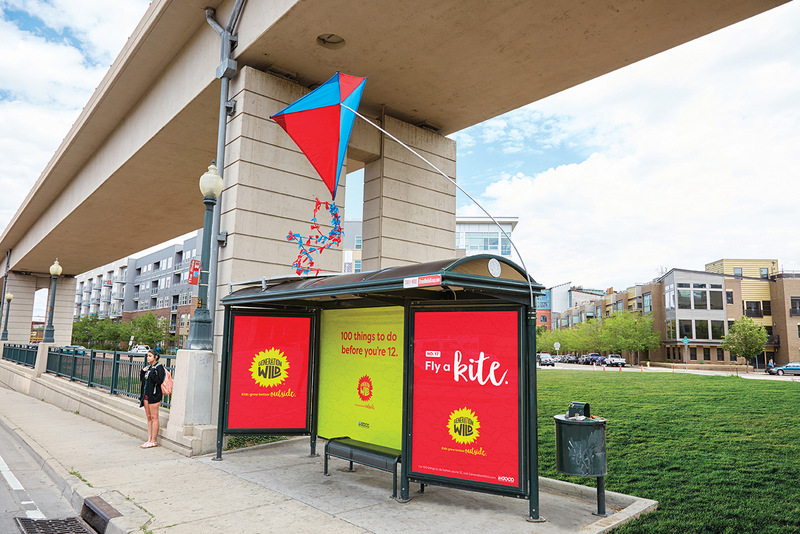 By combining a strong digital effort with our billboards and bus shelters, we were able to drive higher awareness and improved recall. With the help of artists from Belgium, Israel, Toronto, NYC, and right here in Colorado, we created seven 15-second TV spots. The first spot introduced Generation Wild and the other spots each highlighted a different task from the list. 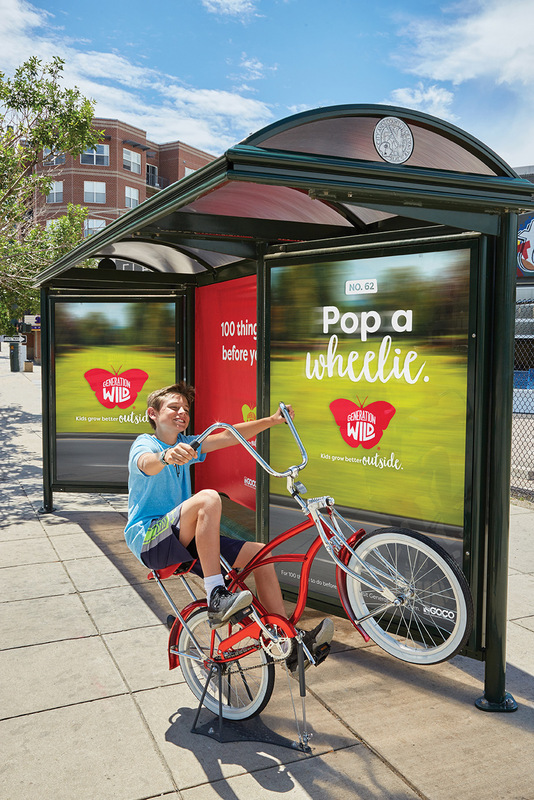 We also put up billboards and interactive bus shelter installations that helped kids tick things off the list. And of course, we hit parents where they are most, social media. 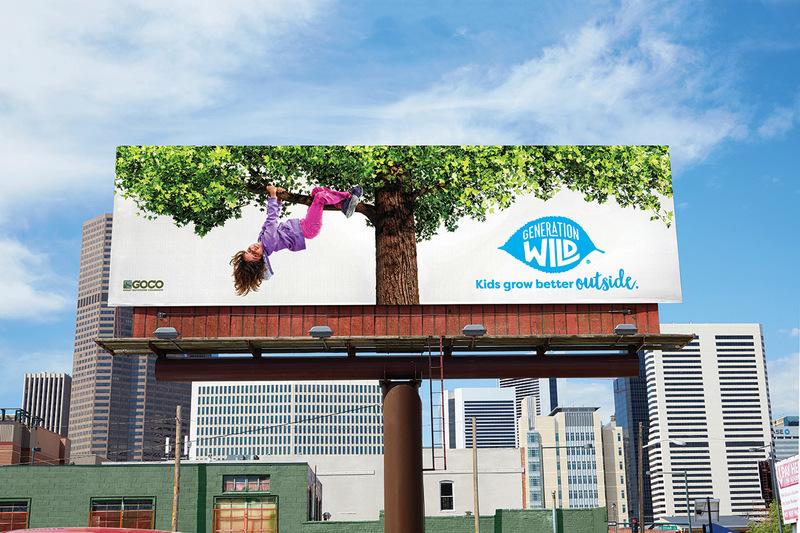 As it turned out, GOCO wasn’t the only organization that loved Generation Wild. 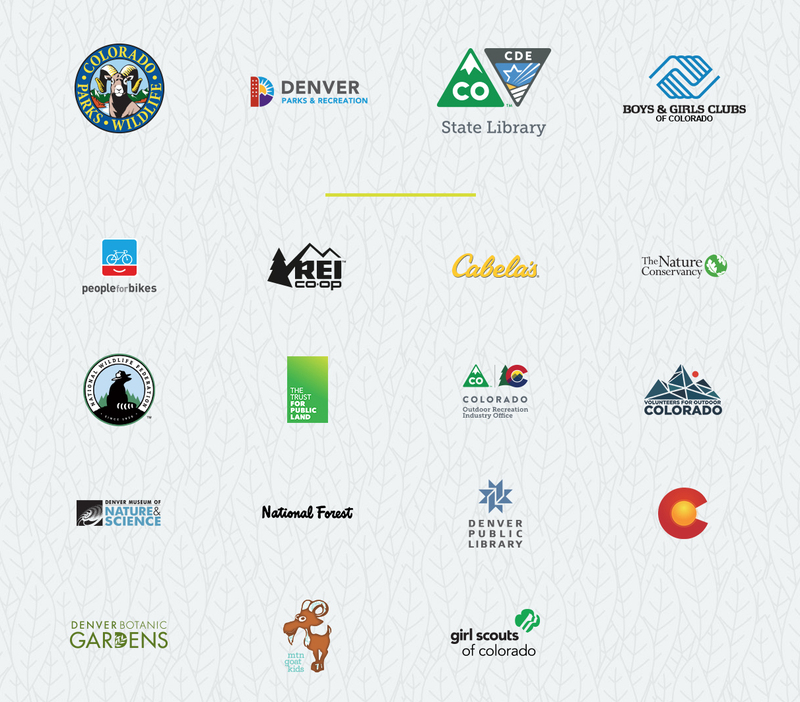 We helped recruit more than 50 others to join the cause, including the U.S. Forest Service, The Nature Conservancy, REI, Cabela’s and Girl Scouts of Colorado. After only a few days of launch, word is spreading. The campaign was has been featured on television news channels, Colorado Public Radio, the Denver Post, and more. And moms are doing just what we thought they’d do, spreading the message among friends and family with hashtag, #100ThingsToDo. And we’ve had over 20,000 visits to the website in the first few weeks. 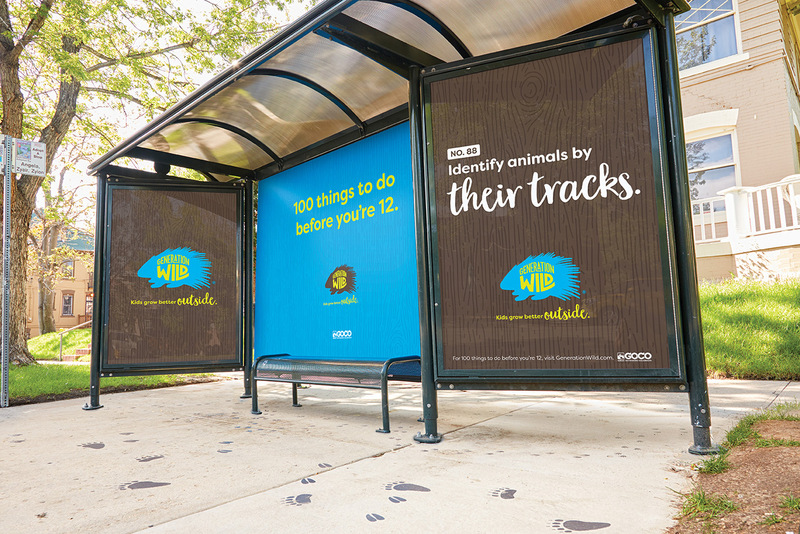 Learn more about the campaign at GenerationWild.com. Follow it on Facebook and find it on Instagram at @GenerationWildColorado.